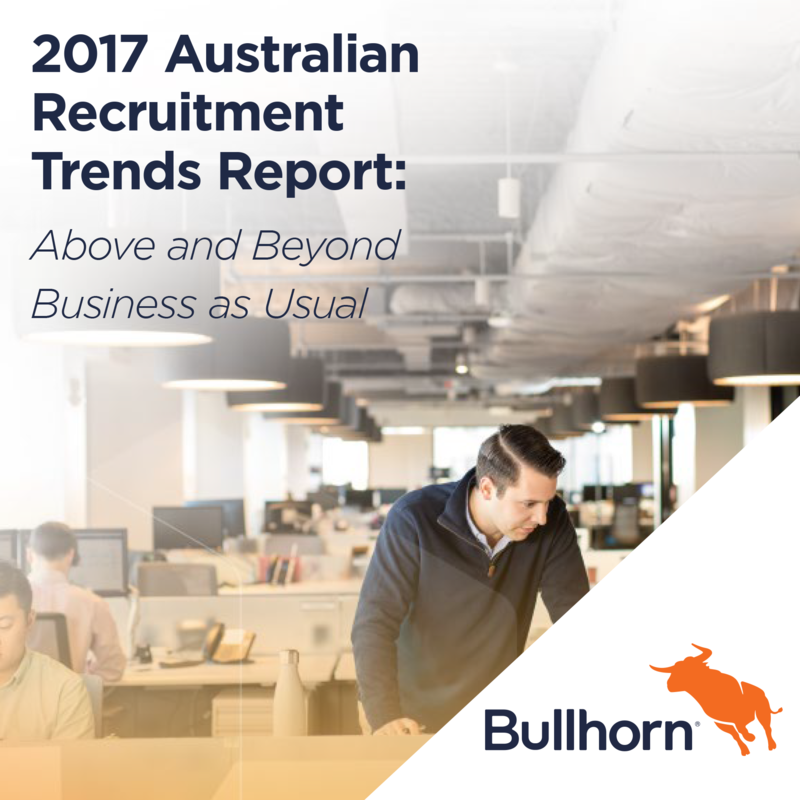 We’re pleased to announce the results of our annual industry analysis, the 2017 Australian Recruitment Trends Report: Above and Beyond Business as Usual. This report is an in-depth look into the complex world of Australian recruitment agencies based upon a global survey of more than 1,400 recruitment professionals at companies of all sizes operating in all sectors. In it, you’ll find information on the current recruitment landscape, outlook on future performance, essential metrics to track, and industry best practices. Learn about the opinions, perspectives, and concerns of over 230 Australian recruitment professionals. Use the findings as a resource to benchmark your own agency and adjust your strategy to go above and beyond business as usual in 2017.